Prevent the Greatest Minds of Our Generation from Being Destroyed. No, for real. We’re really science-ing over here. Or we should be. Happy National Library Workers Day..Go break some rules! One of the beautiful things about America is that we provide free and compulsory schooling, which, theoretically, is supposed to produce an educated voting base. Whether that actually happens or not is a topic for a different day, but one thing that certainly does happen is that as adults we all have strong opinions about what school should be based on our own experiences. Over the last few years two subjects continuously pop-up for debate, cursive and coding. Cursive and computer science are not mutually exclusive subjects. A school system could certainly teach both, and contrary to the misleading mantra that “schools don’t teach cursive anymore”, many do. I compare them, however, because both could be seen as “extras”, but also represent skill sets valuable and unique to their respective times. At one point in our not too distant past, handwriting in general and cursive in particular were key to communicating effectively and participating in society. Likewise, computer science skills are now essential tools to engage fully in our modern world. It’s true that the Common Core State Standards omit mention of cursive writing and includes keyboarding as essential, but this is simply replacing one finite, small motor task with another. Like cursive, the Common Core largely ignores Computer Science apart from urging educators to integrate technology. To provide the how of computer science education, the non-profit International Society for Technology in Education (ISTE) created the most widely recognized and adopted standards to guide technology education in schools. One of their major points of emphasis is Digital Citizenship, a point shared by the American Association of School Librarians Standards for the 21st Century Learner. The information and technology educators of the ISTE and AASL recognize the need for students to be able to fully engage with a diverse digital world. This includes ethical issues such as avoiding plagiarism, understanding digital content licensing and respecting intellectual freedom, as well as communication and collaboration behaviors such as seeking out and respecting diverse viewpoints and participating in personal learning networks and community discussions. Proponents of teaching cursive in schools argue the fair point that students should be able to decipher historical documents, primary sources like the Declaration of Independence or their grandparents’ war time correspondence. These examples rely on an ability to read cursive, but what they’re really emphasizing is information literacy, the ability to conduct research, analyze, synthesize and evaluate sources. 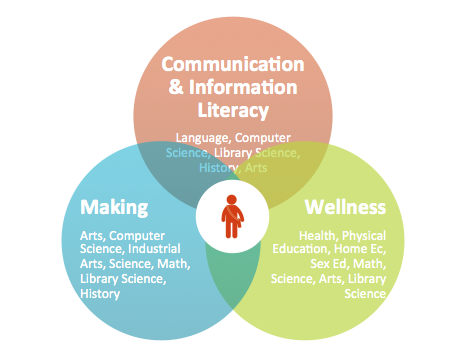 Consider the even broader ramifications for those without these digital citizenship skills. According to a 2014 study commissioned by the American Press Institute and the Associated Press-NORC Center for Public Affairs Research, “7 in 10 adults under age 30 say they learned news through social media in the last week.” When combined with the Indiana University discovery that that “people who seek out news and information from social media are at higher risk of becoming trapped in a “collective social bubble” compared to using search engines,” it becomes clear that the constant regurgitating of disreputable information among insular online groups is not the way to move our democracy forward into productive discussion. Rich computer and information science education in the area of digital citizenship helps information seekers both recognize trustworthy sources and engage with others fruitfully in online environments. For some students, their future digital engagement may be limited to using prebuilt forums and tools, yet possessing some basic coding skill opens up future possibilities for digital citizens, just as reading cursive opens up access to the past. Knowing a little code allows technology users to break free of many constraints, but more importantly, those with some coding experience have a better understanding of some of the critical intellectual freedom issues facing our society today. Is Apple right that creating a backdoor for the FBI would be disastrous for security? What is the hacker group Anonymous really doing when they say that they’re going to take on Isis or the KKK? What does Open Source really mean, and who owns my contributions? Those who can code are also in the position to create their own content, from video games to apps to robots and innovations. Sure, not everyone will become a professional computer engineer, but everyone benefits from some knowledge. Not everyone needs to be an accountant, but we all have to pay taxes. I’ll admit it; I’m a little skeptical that everyone needs to learn cursive. Most of us don’t even sign our names in anything remotely resembling the cursive we were taught in school, and more and more important documents, such as taxes, can be digitally signed. I appreciate the beauty of good penmanship, and I experience a certain nostalgia reading family history in my grandmother’s lovely hand. I also think calligraphy is aesthetically pleasing, and I’m impressed by the illuminated manuscripts of the middle ages, but the invention and use of the printing press was a more widely impactful technology that led to greater societal knowledge. So, while I don’t think there necessarily needs to be a competition between cursive and keyboard, if I were forced, as many school districts with limited budgets and time are, I would choose keyboarding every time. Why? Because keyboarding is a gateway to information and technology literacy, computer science, coding, digital citizenship, all of it. Still, the keyboard is only the currently predominate input mode to interact with computers. Voice commands, touch screens and other alternative methods may someday soon surpass keyboarding. So, rather than attaching ourselves to a particular tool, let’s think about our desired outcomes. The point of keyboarding is to be able to interact with the computer and through it, the world. 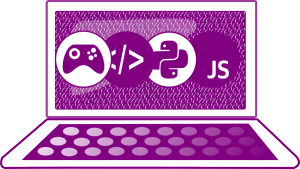 When we talk about coding in colloquial terms, we’re talking about playing around with computer programming, creating self-driven knowledge and building real-world solutions. 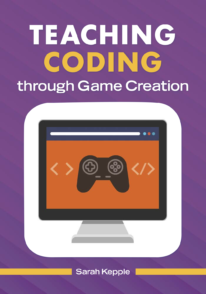 This past week I led the second session of a video game creation class for 7-10 yrlds. In the first class, students were learning how the programming environment worked. We talked through basic components of making a game, how to program objects to move using common commands and screen coordinates, order of operations, etc… It was wonderful to see the their glowing faces as they created something that could be recognized as a game, but when they returned for the second class I was pumped to watch them independently dive in and attempt customizations, see them collaborate to figure out solutions, and best of all, vocalize to me and to each other why something worked or didn’t. These are students who, if they continue on this path, will enter their chosen professions fearlessly. They’ll be able to use the logic and lifelong learning skills they strengthened in computer science class to create websites for their small businesses, design and program clean energy solutions for their homes, and create 3 dimensional learning environments in which their children will learn. Who knows, they may even create lessons on cursive. You’ve researched the possibilities, and worked hours on a solution. After singeing your fingers soldering wires together and assembling parts that you worked extra chores to purchase, you finally finish assembling and testing your masterpiece. It works! It really works, and YOU made it. You want to show it off to someone who will appreciate it, so you delicately pack it up and take it in to school with you. Walking into school you’re jittery with excitement. This will be the moment when your new teacher sees how serious you are and you find your niche among your classmates. You carefully place your invention in your locker as you gather your books for your first few classes. You painstakingly carry your invention to class, tip toeing over couples making out, jocks wrestling and people walking obliviously against the flow of traffic. You get there, SO EXCITED to show your teacher and your classmates what you’ve made. Once the other students see it, they’ll be so excited about what you can do, that they’ll want to discuss it with you. It’s been hard to be the new kid at a new school as a freshman. This is where it all goes wrong. So terribly, terribly wrong. It’s unclear if this is a statement or a question. Someone giggles a nervous laugh. This is not at all the way that you thought this would go. What is happening? You get even more confused when a few minutes later a police office stands in front of you. The next thing you know you’re being hauled out of school in handcuffs. In horror, your sister takes a picture and texts it to your parents. This is your only hope, but you still can’t process what is happening. Why am I being fingerprinted? Why am I getting suspended? Bizarre, isn’t it? Unfortunately, this drama is based on the real story of a real teen. It happened Monday. Ahmed Mohamed made a clock. When we was arrested for bringing it to school, he showed us all what time it is. 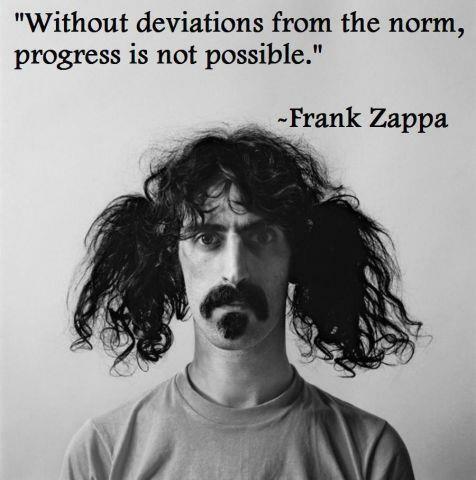 You can question the status quo. We are at a critical point in education. The point of public schooling used to be to prepare students for static jobs, whether in a factory or an office. These jobs required very specific, domain level knowledge that could be passed down from the sage on the stage, memorized and regurgitated. The reality is that jobs are not like that now. No job requires a person to be knowledgeable in math and only math or English and only English. Schools have become an artificial construct. 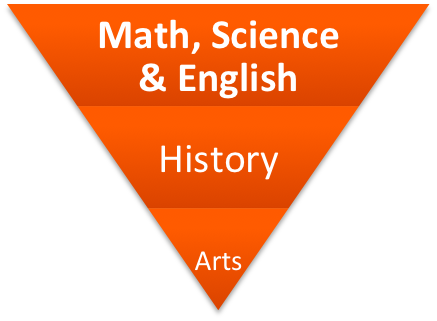 If the point of school is to prepare students for the “real world” including college and careers, we need to rethink the educational hierarchy. Schools are trying hard trying to do everything, but as a whole, they’re still doing it in a framework that is ill suited to the needs of modern students and future workers. 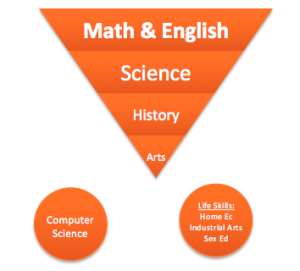 We must rethink not only the hierarchy, but also the subject silos and our education methods. I propose three new core subjects and a new model. In a society that is in constant communication with devices, 24-hour news, streaming media the ability to access, evaluate, analyze, use and contribute information is key to a thriving democracy. Students can write songs, create videos, publish research and connect ideas. 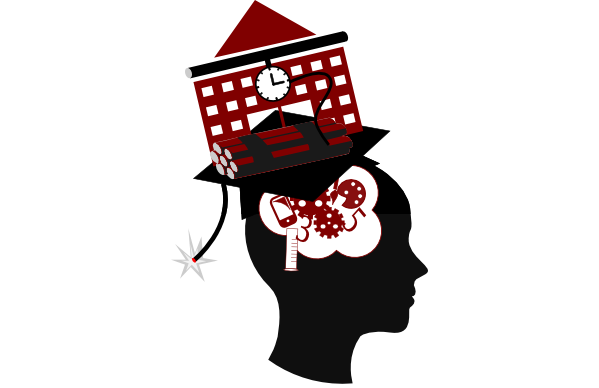 To make, um, let’s say a CLOCK, a student would research the history of clocks, mechanical engineering, electrical engineering, coding options and fabrication methods. To make a theatrical set, a student would need to understand the context of it’s role in the play, research historical accuracy, learn to use power tools safely, take accurate measurements and work with ratios and produce 3d effects with paint. In his now famous Ted Talk from 2006, Sir Ken Robinson wondered why physical subjects, such as dance are relegated to the bottom of the educational hierarchy even though we all have bodies. Since then, we’ve also found ourselves in a national health crisis with childhood obesity on the rise, and an ever-increasing need for health care professionals. In fact, seven of the ten fastest growing jobs according to the U.S. Department of Labor are in the health and wellness field. Imagine a class in which students learned about their bodies, how they work, and how to use and care for them. We’ve also been in a bit of a financial crisis. Instead of making everyone take advanced math classes that, truthfully, most won’t ever use, perhaps we should focus on personal economics and global finance, which affects everyone. Some students would still study higher-level math, just as some students would study higher-level music. Let us create a new structure for learning, one that puts the student at the center. If we are to be focused on the needs of students and preparing them for the world they’re facing, we as educators need to break tradition, step out of our comfort zones, and work together in a new structure. Yes, I know that this model would require a complete shift in the school days, with teams of teachers working with groups in block schedules, but we need to make a fresh start. We have already pulled the foundation out from under schools and expected them to stand. This isn’t a renovation project. It is time to rebuild it, and rebuild it in a way that makes sense. Our students are counting on us. While I agree that it’s important to evaluate student progress and to evaluate teacher performance, standardized tests do neither. No student is “standard.” Teaching to the average teaches to no one, because there is no average student. There are some great articles about this, but Harvard professor Todd Rose gives a great overview. If we really want to evaluate how much and what students are learning, how about we see what they can do? Talk with students about their science fair projects, go to see robotics teams in action, watch the plays that students have written and performed. If we shift our focus to what individual students can do, instead of how they measure up to an imaginary average student, we can make school a launching pad for futures beyond our wildest expectations, instead of a training ground for a world that doesn’t exist. You can think deeply about the types of skills that you as an adult use or need most, and you can share that with school officials and policy makers. You can listen to educators in and out of schools who are making a difference, and ask them how they do it, what they need and how we support them. You can listen to students about their needs and interests, and help them learn it or connect them to someone who can. You can be grateful for the incredible communication tools of smart phones and social media that allowed this child to receive instant support from President Obama, Mark Zuckerberg and many others. You can encourage schools to use digital tools to build skills rather than be afraid of them. You can advocate for cross-curricular learning instead of test driven silos. You can demand that elected officials abolish standardized tests and reshape learning objectives. You can share this article. You can join the conversation by replying. It’s time to stop living in the shadow of the Industrial Revolution, and instead forge an Education Revolution. Recently, I had the pleasure of leading an Electric Art class at a local library. As students sewed circuits using conductive thread, LED lights and batteries, we discussed how electricity works, why we needed to identify and correctly align the anode and cathode pins, and the other various scientific principles in play. After the class, the hosting staff member, seemingly surprised at this level of discourse, looked at me a bit agape and said, “Wait, you’re a librarian?” Yep. I know, weird, right? But, it isn’t really. Many of us in the library world have been inundated with Makerspace mania, digital media labs, STEM/STEAM programs and on and on. Often libraries are bringing in content experts to help educate the public on how to use equipment, but just as often, librarians are leading the charge with maker programs. In fact, since going into the wild as an independent library educator for hire, it’s been intriguing how individual libraries draw the line between what is and is not “librarian work”. Some libraries are even hiring librarians and library assistants in part because of their skills and interests with potential for programming. Applicants who knit, play guitar, are certified yoga instructors might gain a leg up on competition if, in addition to reference and readers advisory skills, they’re able and willing to teach others about their hobbies. Most libraries aren’t going to this extreme, but the definition of “library work” has been in contention as long as I’ve been in the profession. In my first few years in public libraries there were almost daily lamentations from librarians who did not feel that helping folks use computers should really be their responsibility unless it was to access a database or do “serious reference”. Now, that sentiment is rarely if ever heard from library staff, and constituents consider the library synonymous with computer support. When clients now ask about how in the world I learned all of this technology stuff, mentioning my history as a librarian always seems to be interpreted as more than sufficient qualification. So, does the next evolution of librarian-ing include science? Whether in a dedicated space or not, making has become one of the trendiest topics for libraries to explore. As with all trends, it can be dangerous to dive in without considering the big picture. What are the objectives your library hopes to reach through maker learning? (Hint: If it’s to get into Library Journal, that ship has sailed, and you should probably rethink your priorities.) Is it about changing the community perception of the library from a book warehouse to a learning center? Is it to support an already curious community? Is it to build entrepreneurism? 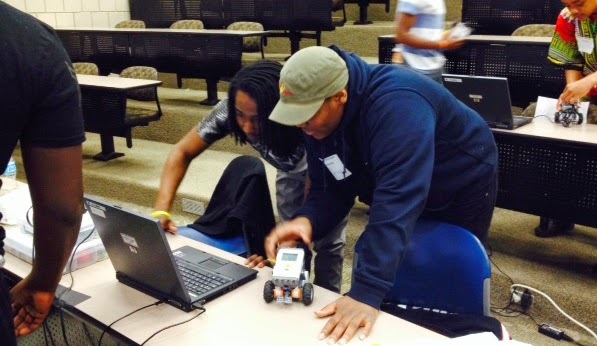 Is it to give youth a chance to problem solve and think critically doing something hands-on? If your answer includes the actual learning happening when folks are making, and they’re doing any making that involves electricity, then science is likely to be a crucial part. Here’s where things get interesting. Youth librarians in particular are accustomed to creating and leading programs that are topically themed. Holiday craft programs, “people in my neighborhood” storytimes, big truck days, and International Games Day are events that sort of celebrate a topic without typically digging to deeply into learning about it. That’s fine, but if we’re promising stakeholders such as funders and community members that we’re going to increase STEAM skills, than we must move beyond STEAM themed events and into rich, participatory learning. Librarians have more experience with this than we might think, but we tend to focus on arts and humanities content. Children’s librarians educate parents on building early literacy skills in active storytimes. In teen and adult book discussions and writing clubs librarians provide guidance and help participants collaboratively educate each other. One thing that all of these examples have in common is that they are learning and experience focused rather than output oriented. Our main goal (or outcome) to achieve in storytime is empowering parents to help their children become readers, not to produce a group of children who perfectly perform the Itsy Bitsy Spider. We need to approach STEAM the same way. It’s about how to think. How, what, why? An art-making librarian who teaches… STEAM? Yup. Here’s what’s really going to blow your mind, I learned more about science, technology, engineering and math while trying to create art than I did in most of my traditional academic classes. When people think of sculpture, they tend to think Rodin style figures carved in marble, but modern sculpture is really just about 3D creation, and at the time when I was in art school, we were just beginning to explore digital projection and interfaces with technology. To create any given piece I might have to research and create electrical circuitry, calculate ratios, and engineer a structurally sound object, all while also considering the aesthetic components. Professors, grad assistants and peers all contributed to this learning either by direct guidance, referrals or collaboration. Fellow STEAM majors in the dorm loved to brainstorm because we all shared the love of the process… getting ideas, researching, testing, reworking. These are fields that are constantly evolving because those in them are forever learning and improving. This is EXACTLY what the maker movement and connected learning is all about. Students who create are driven to learn. We lead classes to provide them with the introductory tools and understandings, and then help them take it to the next level through research and information literacy skills. Most librarians are comfortable with the later part, but in order to get students to the point at which they are asking self driven questions to research, we need to help them build more robust background knowledge and critical thinking skills. Consider the difference between a craft program and an art class. Traditionally, libraries have led craft programs in which students, possibly with parent guidance, try to recreate the librarian-produced example. This is similar to the renaissance studio approach in which an apprentice would recreate master works repeatedly. This approach led to perfection of existing techniques, but it crushed innovation. In an art class, students may be instructed in a technique in order to gain foundational skills, but they are encouraged to use that technique in an original work or better yet, expand on that technique in an original way. This approach leads to new discovery, ownership of projects, and creative spirit. The renaissance studio approach leads to the output of perfectly executed reproductions. The art class approach leads to the outcome of more educated, creative and innovative students. When we lead STEAM classes at the library, we need to consider this difference between project-based learning that is outcome focused instead of output focused. When we have students do an “experiment” are we using the scientific process to hypothesize, test and evaluate, or are we just dropping some vinegar into baking soda and watching it foam? Did students get an opportunity to make informed predictions? Do they understand why they were correct or not? Will they be able to transfer this knowledge to grow future understandings? When we teach a coding class, are we having students regurgitate code from an instruction sheet, or are we problem-solving as a group based on some foundational principles? Would students be able to customize their games independently based on what they learned? Obviously, students attending the Electric Art: Powered Pins class would be disappointed to leave with a pin that didn’t actually light up, so we need to consider the resultant product, but if we want them to learn in such a way that they can continue to create, the focus needs to be on why the circuit works or doesn’t and how to troubleshoot it. When I lead LEGO® WeDo® robotics classes for 7-10 year-olds, it is always so tempting to jump right into showing the students the instructional videos so they can create a cool animatronic animal. I know it’s exciting, and their little faces will light up when their robot alligators snap their jaws. But as fun as those moments are, I would be doing them a disservice to skip past the content leading to the prize. All of these robots are constructed using basic science and engineering concepts, and the goal is really for the students to begin to understand these concepts enough so that they can create their own models, rather than just recreate the example. So, we spend time exploring gears, axles, pulleys, belts, forces and beams before we put them all together into a larger project. This process always leads to greater success when they are subsequently challenged to design a robotic animal from scratch. After all, this is the whole point. If we want to create creators, then we need to give them the tools. Classes like Electric Art and robotics use project based learning to introduce and explore broader concepts. The outputs might be glowing badges or dancing robots, but the outcome is students who have the tools and drive to continue to create and learn. The key to achieving that outcome is finding a balance between building foundational knowledge and opportunities for individual exploration. BOTH components must be present. If as a profession we are truly dedicated to creating makers, than we need to be ready to bone up on science, technology, engineering, art, math and pedagogy. We must be informed and inspired educators, or we need to bring in those that are. Well…You can’t do anything great if you accede to everything people say you should do. He went on of course and further answered the young man’s question in context of poetry, but for me this was it, the whole point of the evening. Earlier in the day I had answered questions about my management style. These types of questions always lead me to wonder how accurately any of us describe our own leadership styles. Do we describe who we are as leaders, or who we want to be? I want to be the type of leader who provides the vision and coaching needed to achieve organizational goals and help team members grow professionally. But, I know I have a tendency to want things done the “correct way.” I have to focus to make sure I remain a coach who facilitates another’s learning and growth, rather than slipping into a pacesetter and authoritarian. I’m not in charge. I just know what you should be doing. The thing is, everything I believe in about the best way people learn, and what I know to be the best way I learn, is for the learner to be at the center, actively participating…doing the learning. I have to make sure not to take that away from staff either. If I prescribe every step or override too much, I’m not only taking away my colleagues’ chances to learn from potential failures, I’m removing the opportunity to discover new strategies and solutions from others. Just like in the classroom, I need to be the guide on the side instead of the sage on the stage. A little over a year ago a group of us from my division went to a workshop at Case Western Reserve called Leadership as a Conversation. At one point the facilitator asked us to think of the person who has been the greatest leader in our lives. Then he said, I can guarantee you that this person made you feel smarter and more capable. Yep. I’ve been fortunate in my career to have a number of great supervisors who focused less on their bossiness and more on empowering their team members and growing their strengths, even if that meant growing them up and out of their own departments. Coaching managers use crucial conversations to lead, whether those conversations are with colleagues that they supervise, colleagues who supervise them, or stakeholders outside their reporting structure. These leaders nurture talent by listening and asking right questions. For instance, instead of responding to a colleague’s proposal with, “I don’t see how that can work with our budget,” the question, “How do you see that working with our budget?” gives room for creative problem solving and prioritizing by the employee. Over the last few years I’ve been to dozens of library conferences and heard headliners such as Sir Ken Robinson, John Seely Brown, Artie Isaac, and Mimi Ito all talk about the need to celebrate and nurture creativity, problem-solving, critical thinking, and communication, the skills that will help us innovate and thrive as a species, let alone as workers. The library profession has bought into this whole hog. We all nod and smile and create our innovative-just-like-everyone-else makerspaces for our teens to build those 21st Century skills in Connected Learning environments, and that’s great. But, somewhere along the way we failed to recognize the flaw in our approach. How are we to grow creativity in others if we remain rigid ourselves? Most library systems are operating with the same basic staffing structure (although, most likely with fewer staff) as they were 10 years ago, heck, 20 years ago, or more! If my grandmother came into a contemporary library today, she might not even recognize it as a library, but I bet she would completely comprehend the job descriptions for the library staff. If we truly want to innovate and remain (or become) a relevant resource in our customers lives, we need to be as ruthlessly creative about everything we take for granted in libraries, particularly with the roles of staff. We need to take a page out of the start-up book and hire for attitude and aptitude, rather than a satisfactorily completed checklist of experiences and easily acquired knowledge. It doesn’t really matter if a new hire knows this particular piece of software today because it’s going to change tomorrow and every day for the rest of our lives. By the same token, libraries everywhere are guilty of hiring for management “experience” rather than aptitude. You may have completely demoralized your former team and driven off some of the best talent, but if you officially signed off on time cards, congratulations, you’re hired. A former supervisor once asked me to be a reference for her because she felt it was as much, if not more, important for a future employer to hear from one of her subordinates as it was to hear from her superior. I couldn’t agree more. Unfortunately, good leaders may receive little praise. If we truly engage our team members and facilitate their best efforts they may come to see us as just staying out of the way, and that’s okay. “First, do no harm,” is a minimum standard to which organization members at all levels should aspire. But, if we wish to aim higher, we need to encourage creativity by fostering an atmosphere of experimentation; that means loosening hierarchies, moving from just having an open door to inviting folks in. We need to commend those who notice areas in which we could improve and suggest ways to do so, and we need to particularly praise those who follow good ideas through to completion, even if we didn’t quite believe it would work out. Not only do staff members need room for failure, they also need room for success. We have to be strong and confident enough as leaders to embrace challenges to our assumptions and encourage our colleagues at all levels to think critically and creatively. After all, we can’t do anything great unless we do. I’m exhausted. After working all day Friday, on my day off I woke up early to drive downtown, get a parking ticket while I figured out where I was supposed to park, haul about a 100 pounds of tech equipment from one end of Cleveland State to the other, spend 2 hours setting up and taping down cords, run around the classroom for 4 hours teaching, then haul it back away. Well, for starters, because someone asked. About 3 weeks ago an organizer of the 2nd Annual Boys to Men Summit called up. 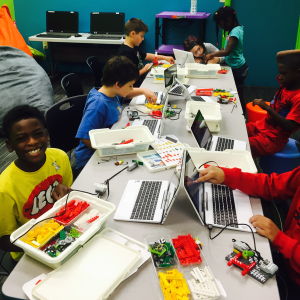 Her son had enjoyed participating in robotics at the library, and she wanted to get these young men involved. These young men, ages 10-17, were voluntarily giving up their Saturday to come and enrich themselves. On the day of the event, however, it quickly became apparent that some of these young men were not so voluntarily participating. Or at least, that’s what their slouched, disinterested body language implied. But the thing is, they didn’t. And why should they really care? No one asked them if they wanted to come to the whole event, or even which sessions they wanted to attend. I expect that many of them were shamed into coming rather than celebrated for making a good choice. Focusing on forcing gratitude from individuals who are rarely recipients of gratitude is a folly that should seem evident, but, unfortunately, is a scene that is repeated over and over again between adults and teens. It’s a perfectly natural feeling. It’s the same feeling that I expect mothers of young children have daily, when, sleep deprived, sticky haired and still adapting to the changes that birthing a baby has brought to their bodies, they stifle the urge to scream back at their toddlers who wail about the cruelty of having to take the nap that their moms desperately want themselves. Here’s the thing. We do hold back, usually, with little ones. Why? Because we know that they don’t know better. We know that we have to be the adults. We know that they have very little control over their lives, and that must be particularly frustrating when their toddler brains are hard wired to push them to constantly test boundaries. With teens it’s somehow harder. Like toddlers, their brains are hard wired to test as part of the brain’s transition from childhood brain to adult brain. Like toddlers, they have limited limb coordination, sometimes smell, and often react to the lack of control over their own lives with tantrums. Maybe it’s because they’re chronologically closer to adults, or because they’re in bigger bodies, or, because being around teenagers reminds many of us of our own, often not so pleasant, teenage years and experiences, but when faced with sullen teenagers, most adults will revert to curmudgeon mode. This rarely returns a good result. Perhaps it would help us to think of teens as hidden toddlers, like the little alien inside the mechanical body in the first Men in Black movie. The same strategies work then. If faced with unpleasant behavior from the toddler/teen, we model the pleasant behavior that we wish to receive in return, we redirect when needed, avoid engaging in argument, and, perhaps most importantly, we remain confident, knowing that our fully formed adult brains and numerous life experiences give us the strength to be the leaders needed in any situation. So I ignored the sticks and stones looks and got to work talking with, and not to, the students. Once we worked together to problem solve and successfully run the first program on their robots, we were up and running. In every class that day, within the first 10 minutes, 90% of the students were hooked. Of course, it helps to have a lesson plan design that calls for creativity and critical thinking, and, quite frankly, robots are about the coolest redirect option ever. Who doesn’t want to play with a robot? Still, like toddlers, clear and consistent boundaries are key. It’s not only okay to address problem behaviors, it’s vital. Likewise is demonstrating appropriate sharing of feelings. For instance, “I’m going to ask you to take your headphones out for our time together because when you wear them I don’t feel like we can communicate as well.” Calm, confident I statements do the trick more often than not. All of these things are not new to me. I’ve been working with teens for 15 years! I’m an unabashed teen advocate, who truly loves this age group, yet this is not the first time, nor will it be the last time that I’ve had to remind myself of my best practices or tell myself to woman up and be the adult. Teens are a royal mess. There are so many factors trying to screw them up from hormones, brain development, negative peer influences, unrealistic expectations, future pressures, and on and on. Unfortunately, around teens, adults can become a bit of a mess too, focusing more on our own insecurities than the teens we’re meant to be strengthening. We shouldn’t expect perfection from ourselves anymore than we should expect it from teens. What we should do is remind ourselves, in our weak moments, that we are not here to be admired, thanked or celebrated; we are here to serve a larger purpose, the successful transitioning of children into resilient adults. In the words of Dr. King, “Everybody can be great, because anybody can serve.” The trick is to focus on the service and the greatness of the cause and the greatness of the kids rather than the greatness of the adult leader. Serving teens requires a unique blend of confidence and humility mixed with an ample dose of empathy. Sometimes I won’t get the recipe just right, but I’m going to keep on cooking. Know Your Role… and brag about it! I participated in an Every Child Ready to Read 2 session today. If you’re not familiar with ECRR2, it’s basically the methodology that librarians, parents, preschool teachers, and other adults who are children’s first educators use to help them get ready to read. During the session, participants in our small group portion expressed a great deal of self-doubt. ECRR2 encourages storytime leaders to give thoughtful “asides” to parents. So, for instance, while reading The Seals on the Bus, a librarian might point out to attending parents that the children are loving the rhymes and songs because it’s helping them learn about syllables and parts of speech. While of course we want to have fun learning with the kids during the storytime, the point is to help parents learn what they can do to help their kids get ready to read. Parents are not only a crucial ally in the quest to get kids ready to read, they are the number one force in the child’s chances for success. Kids will mimic parent behaviors, which hopefully include reading, writing, singing, talking and playing. Speaking of mimicking… You know who wants to be like librarians? Kids. It’s true. I can’t tell you how many times parents have told me that their little ones played “Miss Sarah” at home. They line up stuffed animals, dolls, younger siblings, good-natured parents and grandparents, and “read” books to them, sing songs, dance, and basically mimic everything we do in storytime. You know who else wants to be like librarians? Parents. When their three year old threatens to melt down in utmost embarrassing fashion, who soothes them about how toddler brain development pushes kids to seek independence and test boundaries? When it seriously seems impossible that there are any books left on dinosaurs that they haven’t read 3,000 times, who finds the exact one that will please parent and child? Lastly, which publicly funded employees do community members trust more than any other? If you answered Librarians to any of the above. Ding, ding, ding! Give yourself 3,000 points! So, from where does this worry about irritating parents with our knowledge emanate? The librarians in our group with this worry reflected on their own experiences as parents. They thought that they would be annoyed attending a storytime at which the librarian periodically pointed out winning strategies. Yet, it’s unlikely that parents would be offended if a swimming teacher told them strategies to help their children overcome fear of the water, or avoid drowning. One issue is that librarians sometimes are afraid of grabbing that crown of Early Literacy Expert, and wearing it with the pride that they deserve. One lady in our group asserted with full sincerity that parents most certainly do not seek her counsel or view her as a literacy expert. But certainly a parent has asked you for recommendations for her reluctant or struggling reader? Has a parent ever confided in you about his concerns about his child’s development, behavior or reading interests? Did you suggest some resources? Did the parent take them? Viola! Congratulations! You ARE a community literacy expert. Here’s the deal though. To keep this amazingly important job, you have to tell people about it. You have to brag. The work we do in storytime and generally around early literacy makes a huge difference. Children who begin Kindergarten with the skills we help them develop are more likely to graduate from high school, stay out of prison, get higher paying jobs, etc… People like those stories. In fact, people like those stories enough to continue to pay for libraries and, you know, librarians. But, they have to hear them. Librarians, it’s time to get unquiet. If you’re afraid that parents won’t like you telling them what to do, try this: Ask them to vote. “Who here would like to know how your child can be ready to read by Kindergarten.” Chances are the parents are aligned with you in that goal. Work on it together, and embrace your role. Librarians are the number one advocates and experts on early literacy. The best thing you can do to help the kids is to toot your own horn. I had the pleasure of presenting today to the North Coast Council, a consortium of greater Cleveland-ish school librarians. This is a great group of dedicated professionals who are the unsung heroes who hold schools together and help prepare youth and teachers for the 21st Century. highlighted resources available from Cuyahoga County Public Library such as downloadables, TumbleBooks and Bookflix, but also highlighted app games and interactive books. One of the points I emphasized was the impact possible when interactive books are “considerate texts” meaning that the interactivity, the child’s interaction, drives the story and strengthens the child’s comprehension and interest. A good example would the be how Grover engages with readers of There’s A Monster at the End of this App, each desperate plea he makes for readers not to turn the page, or to remove barriers has exactly the opposite effect on readers. To ensure the Library’s financial stability into the future and to reduce operating costs through efficient building design. To create centers of excellence. To establish equity of service throughout the Library system. Before I go on, I should add that the opinions expressed here on out are my own and not necessarily those of my employer. There are many awesome, flashy things in the new buildings, such as an audio recording booth at Warrensville, a video recording studio at Garfield, gaming stations in youth areas, digital signage, etc.., etc.. These things are all fabulous. Of course, I’m a little bit biased since I had a hand in them, ahem. But, what I think is the crucial piece of the concept of forward facing design is recognizing the spirit of current human behavior, rather than accommodating any particular current behavior. So, yes, currently, customer demand for pc use is extremely high, so yes, we’ll put in a whole bunch of pcs, but that is an example of being responsive to current need. An anticipatory piece of that, however, is putting gigabit connections into new buildings so that we’re ready for the next jump in digital streaming. Recognizing that people are always going to want places to physically congregate and that need is probably going to be much higher than their need for physical stuff to borrow from the library after the digital revolution is an example of future facing design. So, instead of maintaining the old school library design that celebrated materials in tall, intimidating shelves that dominated the public floor. Physical collections are wrapped around and intwined into social spaces. Instead of building a space that’s perfect for books, future facing facilities designers build spaces that are perfect for people. This is only one example of many, and I’d love to hear your thoughts about what customer needs will be important in the future how libraries can anticipate them in physical spaces.